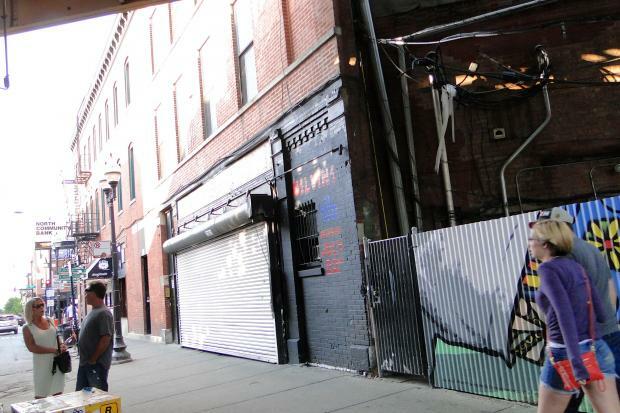 WICKER PARK — Music fans will be able to enter the Double Door through a third entrance Wednesday night for the first time in its history. 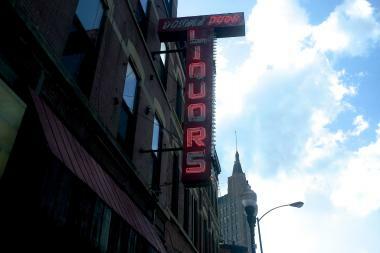 The door on the southwestern edge of the club's building at 1572 N. Milwaukee Ave. will be opened to give club-goers a first look at a new speakeasy-themed basement lounge, called Door No. 3 Music and Cocktails. While Gemini Club and other DJs will perform, patrons can also head upstairs to see Hey Champ. Double Door co-owner Sean Mulroney called Wednesday's event "a teaser" and not the full opening of the basement lounge, which is still finishing up final touches, which include "opening up a room that didn't exist. "We couldn't be more excited, the room is coming together, it's warm and fun and people will enjoy hanging out there," Mulroney said. Double Door at 1572 N. Milwaukee Ave. in Wicker Park. The remodeled basement also features a new steel staircase to replace the outdated wooden stairs, as well as a DJ booth and dance floor. While the club's downstairs "has always been there for 19 years," and was accessible through a staircase in the middle of the room, Mulroney said the basement "was a place with a bar, bathrooms and pool table where you go to get away from loud shows upstairs." The recent transformation to Door No. 3 has the lower-level going from "looking like someone's rec room basement to a cool, comfortable place that's very lounge-y, with table seating and new blue-hued lighting," Mulroney said. Mulroney said that when Double Door has larger shows both the basement and upstairs will open as one venue, though during the week or at smaller shows, Door No. 3 will operate as its own entity and require admission through its side door. Wednesday will be first example of how both ventures will run concurrently, with a Hey Champ concert upstairs and electronic indie Djs Gemini Club in the lower level. Mulrney said Door No. 3 will feature "primarily DJ music, very neighborhood selective. "There's a lot of great DJs in Wicker Park," Mulroney said. Responding to reports of comparisons to nearby Violet Hour's speakeasy-themed cocktail enclave at 1520 N. Damen Avenue, Mulroney said, "Craft beers and craft cocktails are everywhere and to compete with places that have made it their identity, we're not trying to do that. We're just offering good cocktail service at a Wicker Park price point." Mulroney said beers will likely range in price from $5 to $8 and cocktails will be $7 to $14. "We have a good sense of what we are. Double Door is Double Door and [Door No. 3] is like a sister to Double Door, a downstairs cool lounge with a comfortable feel. We're not adjusting our price point up, it's same old prices, new environment, new ideas, new faces." When asked about the area's changing demographics, Mulroney, who owns Double Door with Joe Shanahan (who also owns the Metro at 3730 N. Clark St. in Wrigleyville), said, "We were [in Wicker Park] when nobody wanted to be there and made it safe by being here." Mulroney said people that used to come to Double Door used to live in Wicker Park and "now they come from elsewhere, all the bands come from Pilsen and Logan Square and somewhere else." He lauded Ald. Joe Moreno (1st) for being "a huge fan and very supportive of Double Door and what we do there, it has a reputation that goes well beyond the boundaries of the city of Chicago." On Friday, both the upper and lower levels will be open during a ''Wicker Punk Ball Fundraiser'' with a guest appearance by Moreno.